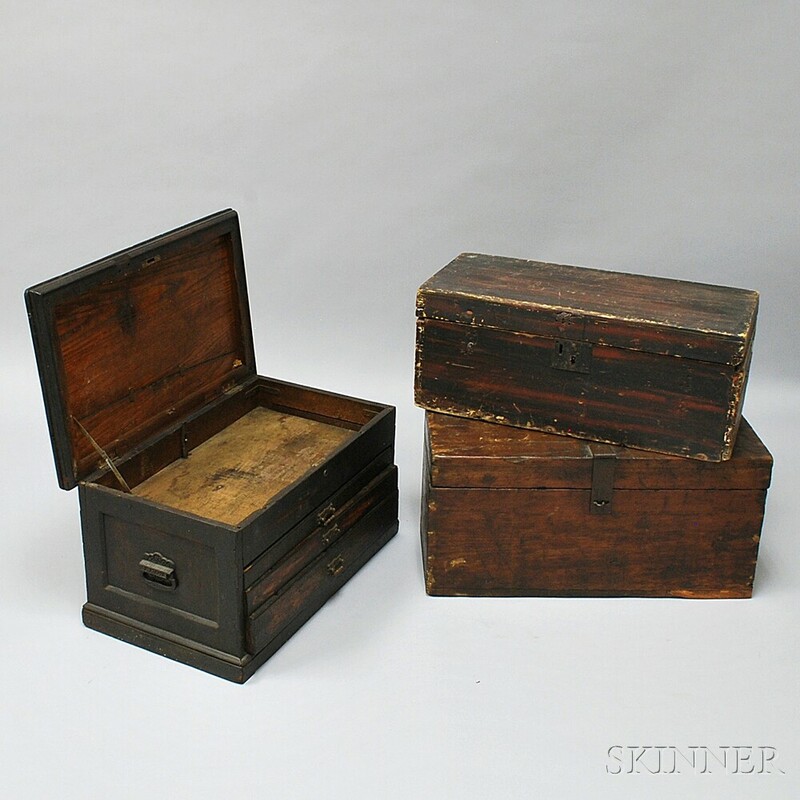 Three Boxes, 19th and 20th century, a tool chest with lift top and three drawers, and two other lift-top boxes, one with grain-painted decoration and wallpapered interior, (imperfections), ht. to 12 1/2, wd. to 24, dp. to 14 1/2 in.